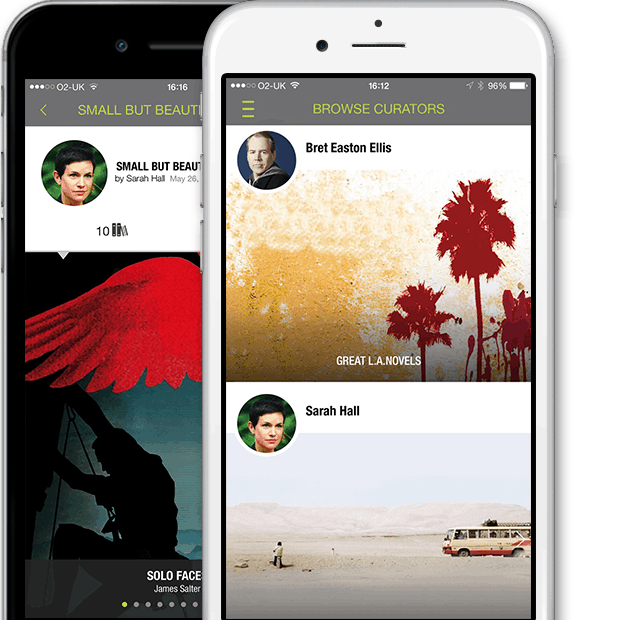 The Bookseller (paywall'd) reports that Alexander Kidd, formerly of Picador and formerly a literary agent, is showing off a new book discovery app called Alexi. Rather than offer the huge catalog found in most ebookstores, Alexi is going to focus on the ebooks curated by the authors. It has not yet been decided how you're going to pay for the ebooks or how much they'll cost; in fact, Alexi has yet to close deals with publishers. All we know at this time is that The Bookseller reports that Kidd said that the terms would be "fair" to authors, and that the weekly cost of the app would be "less than a Sunday newspaper or a cup of coffee". The current plan is to offer lists of recommendations that will be posted for a month and then removed. During that one-month period, readers can add recommended titles to their reading lists to read in full without paying extra. So it's going to be a subscription type of service, only without a large selection. That reminds me somewhat of Rooster, an iPhone app which launched early last year. Rooster offers a $5 a month service which sends users daily snippets from a book, enabling them to read the book bit by bit. Both Rooster and Alexi curated your next read, but the latter wants to offer readers more options than just a single title. But not too much more. Alexi wants to split the difference between Scribd and Rooster. "Subscription is an interesting experiment in digitizing content and it makes sense that people would attempt to build a Spotify for books," said Kidd. "Book subscription services are vast digital libraries. From a reader’s point of view that is just presenting them with another problem, rather than a solution [to what they should read next]. We have turned that on its head." I've tried the app. (It is currently invite-only, but I waited only about half an hour before I got the invite.) It looks very pretty and offers some intriguing recommendations by literary authors. Julian Barnes' "Four Great Novels that don't look like novels" features public domain works, while Alan Johnson has chosen five political biographies and Bret Easton Ellis has assembled a list of "Great LA novels". Those suggestions won't appeal to all but there are readers who will be interested. If this app gets enough attention (and if it gets the investment required to go to the next stage) then it could find a niche market . Alexi is currently available for the iPhone; iPad and Android apps are planned for later this year.